The Wiegands: Natural Products for New Mamas: Motherhood Naturally. 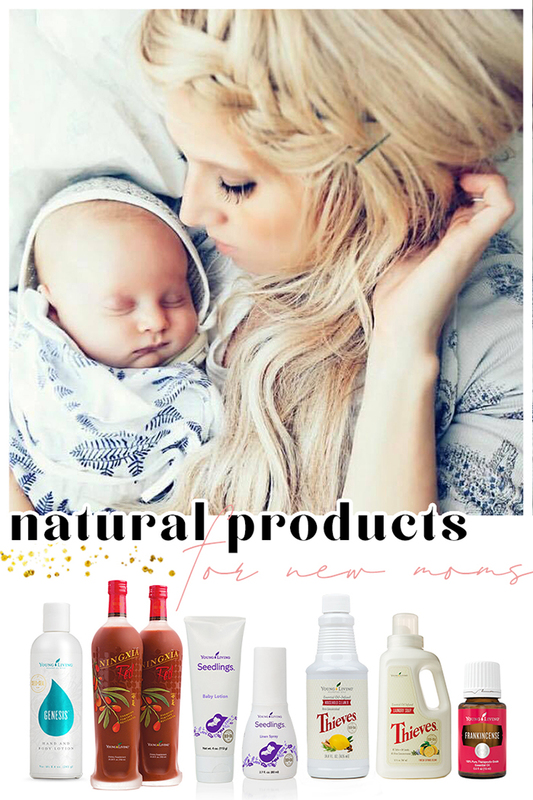 Natural Products for New Mamas: Motherhood Naturally. Motherhood is one of the most life changing experiences we go through. Suddenly a piece of our heart is living outside of our body and our entire world changes. We want to give our babies the very best - the best of ourselves, the safest products on their little bodies, the coziest home. Having an intentional home is top priority for me and one of the pieces to that is what goes on their little hands and skin daily. I am so grateful that I discovered the wonder of natural products for me and my family just a few years ago. I love that I am 100% confident that we are surrounded by all kinds of goodness, free from harsh chemicals and toxins that can wreak havoc on our bodies and health. I thought it would be helpful to put together a list of my favorite things for new moms - a quick, easy reference as you begin this journey into motherhood. 1. Jojoba oil (this is my favorite) and Frankincense oil from Young Living. This combination is so wonderful for a beautiful complexion, and can be so soothing as you recover postpartum. I just mix a drop or two of Frank into a dime size amount of jojoba and use it as a face moisturizer or anywhere topically that needs support. 2. Genesis Hand and Body Lotion is so dreamy, has built in emotional support oils, and is a little bit of luxury in a bottle, the perfect way to moisturize all over. Those postpartum bellies will thank you! 3. Ningxia Red is filled with antioxidants and a natural, easy, and delicious way to keep your energy levels up, and stay healthy. If you’re nursing, this is going to do wonders for both you and baby! 4. Keeping your home clean for new little ones is so important, and I am so glad that we have Thieves to do just that. It’s free from toxins, and keeps everything fresh. It’s a dream to know that I am able to create a clean, cozy home for my family without any toxins! We have the foaming hand soaps at every sink, the dish soap on our counter ( pssst it says on the bottle: if swallowed drink plenty of water- you cant beat that! ), the detergent for little clothes and the house cleaner for all the little tiny helping hands! I love everything that the Young Living Seedlings line offers, and you can grab it all in one big bundle or individually to mix and match. 1. The baby oil is calming, soothing, and an easy way to keep baby’s skin soft. 2. The body wash and shampoo is perfect for bath time, safe for little eyes, and has the same calming scent as the oil. 3. We keep the wipes all over the house - safe and gentle for diaper changes, but great for cleaning up on the go. I even use them as a makeup remover! Or for sticky toddler hands! 4. The diaper rash cream is incredible - so beneficial and super effective without harsh additives. And the linen spray is perfect for misting baby’s crib or blanket before drifting off. 5. And, of course, no nursery is complete without a bottle of Gentle Baby - for your newest addition, toddlers, and even older kids! The scent is calming and gentle, and so dreamy. Giving our babies the very best doesn’t have to be overwhelming. We can provide a loving, cozy, calming space with a few simple products, and breathe easy knowing our little loves are safe and supported.